The Stephenson Mansell Group’s (SMG’s) Vision is to help develop leaders the world needs. In line with this vision and in recognition of our 20-year anniversary of growing and developing leaders, SMG is honoured to introduce the inaugural SMG 20:20 Visionary Leader Excellence Awards. This Award program aims to recognise upcoming leaders from across all industries who demonstrate outstanding “20:20 vision” for the future – leaders who the world needs: those who inspire, lead others and effect change. You may be a leader in a large multinational, an owner/operator of an SME, an entrepreneur, or a manager flagged for potential – Help us to identify these up and coming leaders so we can help them on their leadership journey. As part of this inaugural award, SMG will be awarding one emerging leader with a 12-month Intensive Leadership Coaching Package, valued at over $15,000, providing the opportunity to work with one of Australia’s top coaches. SMG recognises that executive coaching facilitates the greatest impact towards maximum personal and professional effectiveness for leaders. With access to a team of some of Australia’s most experienced coaches, this award offers the opportunity to take the next step in your leadership journey and focus on your development. — 5 x Finalists will be announced. All finalists will receive marketing/promotional graphics that they can use to showcase their finalists status. — One (1) Winner will be awarded a 12-month Intensive Leadership Coaching Package, including: 12 x 1 hr coaching sessions with one of Stephenson Mansell Groups Executive Coaches, valued at over $15,000. — Branding recognition through access to Program Logo for use in email signatures, business cards and communications. Application for nominees can be self nomination or nominated by others. 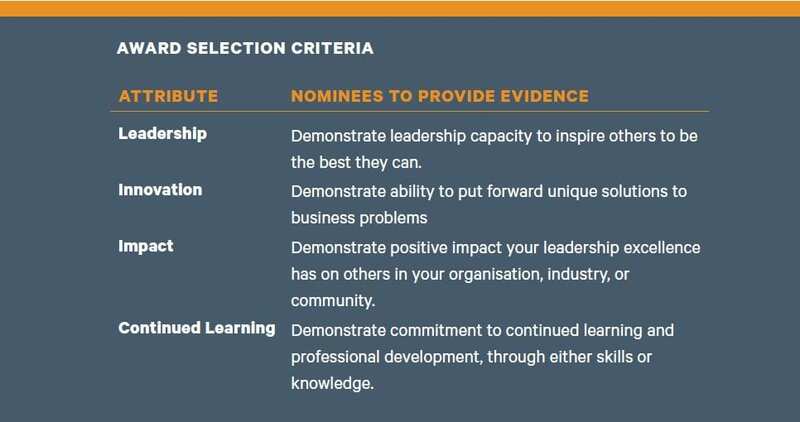 Nominations for the 20:20 Visionary Leader Excellence Awards must be accompanied by a written submission, demonstrating the nominee’s capabilities against each of the Award Selection Criteria (max 1,200 words). Nominations must be supported by one written reference from a business referee. All nominations must be accompanied by a completed Application form and all supporting documents as outlined on the Application Checklist. Completed application forms, along with the written submission and all application checklist supporting documents to: events@smgrp.com.au by midnight on 31st March 2019. Application close on 31st March 2019. No further applications will be received after this date. Applications will be reviewed by a panel of judges, allocating marks against the evidence for each selection criteria attribute (Leadership, Innovation, Impact, Continued Learning) with 20% weight allocated towards each attribute. Marks against the written reference and resume will also be given, allocated to the final 20% weight. Five finalists will be announced on 18th April 2019. All award finalists and winner details will be announced through SMG media channels including the SMG website, LinkedIn and e-mail. One Award winner will be announced on 16th May 2019 at the SMG Visionary Leader Excellence Awards Evening. — Meet the eligibility criteria. — Written submission providing evidence against Award Selection Criteria provided. — Written reference from a referee provided. For more information please call (02) 9950 2000.